Young Musical Talent was on display at The Narberth Baptist Chapel in January. 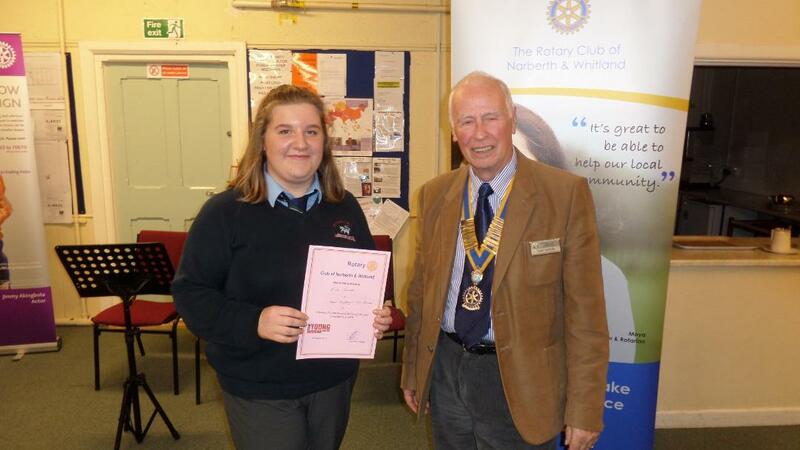 The evening was organised by Rotarian Barbara Rumbold on behalf of the Narberth & Whitland Rotary Club. The compere for the evening was Rotarian Robert Elward who introduced the three judges who were Rose Bowen, Norma Ridout, Clive Raymond. 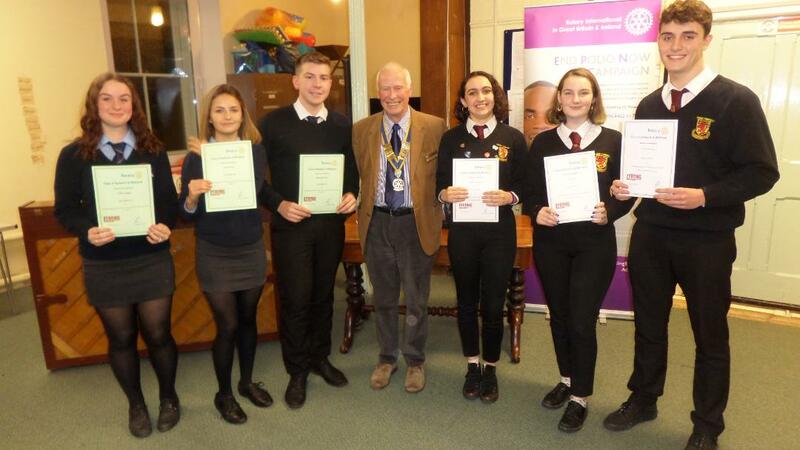 There were ten competitors from the two local Secondary Schools which are always supported by the Narberth & Whitland Rotary Club. Rotarian John Sleigh was on hand to take photographs of the performers. The event was an evening soiree of Vocal and instrumental music with Students from Ysgol Dyffryn Taf and Ysgol y Preseli. The mixed audience of Parents, friends and Rotarians enjoyed each competitors performance and the judges summarised their talents with encouragement and advice before selecting winners in each category. At the interval refreshments were provided very kindly by Mrs June John, whose late husband Noel John was a founder member of the club. She always enjoys being involved with the club which is appreciated by the members. During the Interval Rotarian Rob Elward also made reference to forthcoming events including The Youth Speaks debating competition to be held at the Hotel Plas Hyfryd, Narberth on Wednesday 23rd January at 6.30pm. Guests are welcome. Maisie Thompson was pronounced winner of the Vocal Competition having given superb renditions of "Burn" by Miranda and "Don't Rain On My Parade by Styne. She represented Ysgol y Preseli and is seen to the right of President Ton y Ensom in the group photograph of the assembled students. The Instrumental competition was won by Evie Smith of Ysgol Dyffryn Taf. She gave a wonderful recital on Cello featuring "Tarantella" by Squire and "Orientale" by Cui. President Tony Ensom had great pleasure in presenting corticates to each of the performers to commemorate their participation. He thanked all those who attended to listen to the music and supporting staff who accompanied the students. IN particular the club is also grateful to Minister Mr Chris Rees and the Chapel Deacons for allowing the use of their splendid room and kitchen facilities. This annual competition is a regular feature for the club. The winners will now go on in the competition to perform at Rotary 1150 District Level.